Vitebsk state medical university started its operation in 1934 as a medical hospital institute with 250 students. In start 12 lecturers started work in the institute under the command of first rector doctor of medical sciences professor Khazanov Moses Anisimovich who graduated from the Be rn university Switzerland from the faculty of medicine.Those 12 professors were very well known as medical scientists all over the world. Professor Gurevich Pavel Markovich was the first dean of vitebsk state medical university and he was a graduate from French university. in 1948 scientific society of the students was formed at the institute. The new building of the Vitebsk state medical university was constructed in 1959 and the same year faculty of pharmacy started to work.General medicine faculty was already working for years. In the year of 1962 there were new constructions for central research laboratory and hostel No 3 & 4. In 1974 preparatory faculty was established at Vitebsk state medical university first time.In 1986 two hostels were constructed No1 & 2.In 1987 two new establishments were made and these were sports complex and dining building. In 1981 the training for the foreign students at general medicine faculty and pharmacy faculty was started.In 1984 faculty for the advance medical training was established. For foreign students training the faculty was established in 1997.Dentistry faculty started working in 2001. Vitebsk state medical university clinics started working under the Ministry of health,Belarus in 2003. Vitebsk medical institute was given the status of university in 1998. 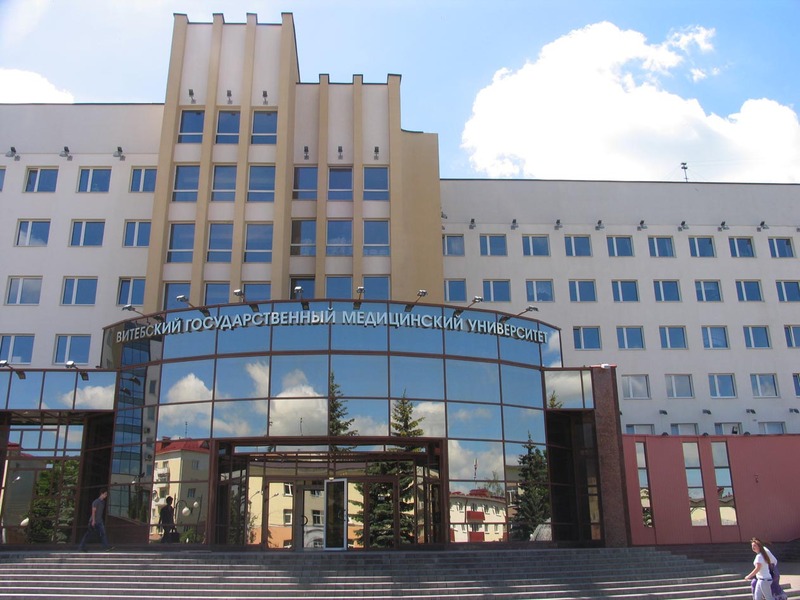 Vitebsk state medical university has now 7 faculties with 7000 students.The university has 63 total departments with 56 doctors of sciences working in these departments.University has 44 professors and 171 associate professors now. Vitebsk state medical university degrees are recognized by the World Health Organization(WHO).